Encrypting means that your email and it’s attachments are transformed from a natural language to an encrypted form, that only the recipient can open with a one-time passcode. 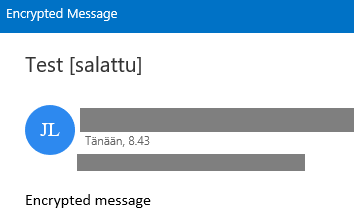 You can encrypt your email message in Outlook by adding to the end of the title line ” [salattu]” (BTW, salattu is Finnish and it stands for encrypted). The recipient receives a separate message that holds a code which is needed when opening the actual encrypted message. It might take some time (about 30 mins), before the recipient receives the encrypted message. If you want to emphasize the confidentiality of the message, choose Do not forward /Confidential or Confidential View Only from Permissions on the Options-tab. 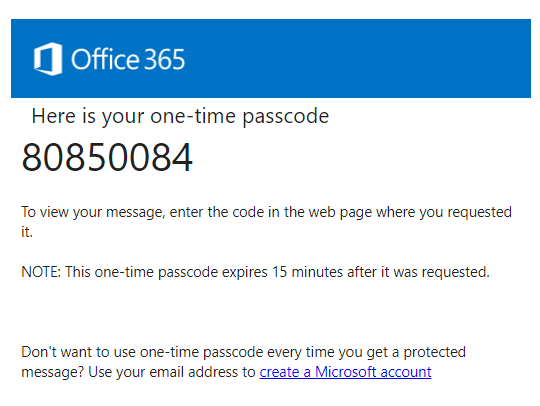 The pictures in this instruction are from Microsoft 365 cloud service’s webmail, but you can receive an encrypted message in any email system. The message will always open in a web browser. 1. 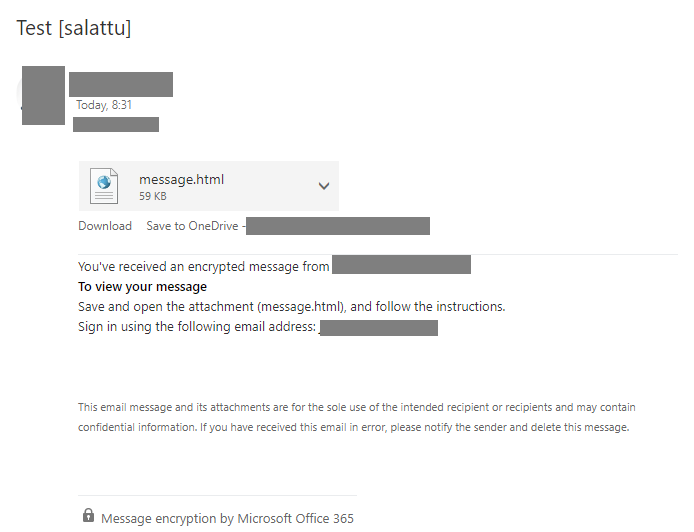 When you receive a message encrypted in the manner explained in this instruction, you will see [salattu] at the end of the title, and instructions in the message. Click on Download. 2. Download and open the file. You will see the following. Click on Use a one-time passcode. 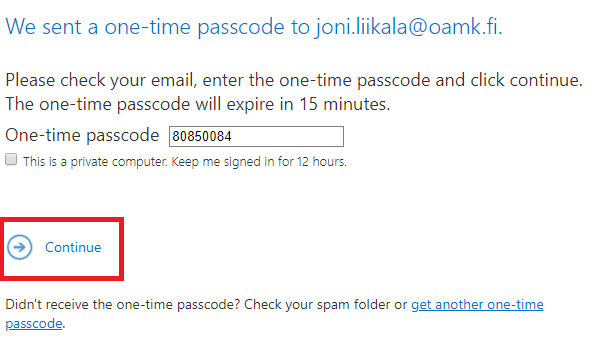 This article was published in these categories: English version available, for staff, Oamk , GUIDELINE, softwareand tagged English version available, Office 365, Opettajan ohjeet, Outlook, email.Add a permalink to your favourites. Follow comments to this post with a RSS feed. Post a comment or leave a trackback: Trackback URL.